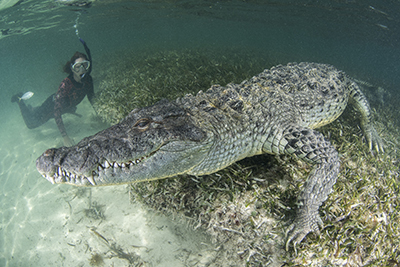 Are Crocodiles the New Sharks? It was inevitable that sooner or later I would start running crocodile trips. Collectively, crocs, alligators, caimans and gharials have that same primal allure as sharks, and what they lack in sleekness they make up for in sheer prehistoric gnarliness! 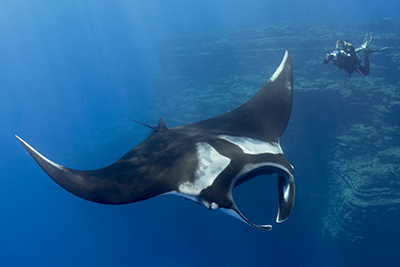 At Socorro we had manta encounters and more sharks than I have ever seen in the Revillagigedo Archipelago. 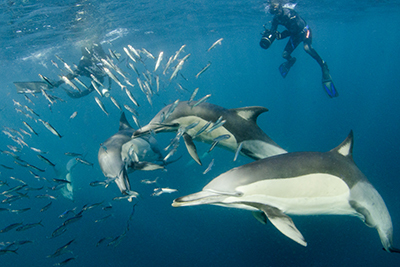 This year the weather cooperated and we were able to dive Roca Partida. 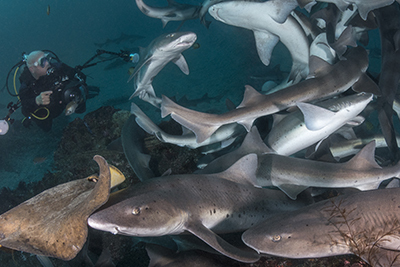 The schools of hammers, ledges filled with photogenic whietip sharks and enormous yellowfin tuna schools swimming around that lonely monolith made this trip extremely special. 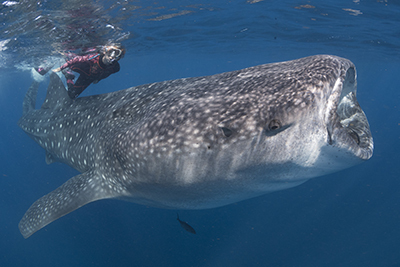 Read the Socorro 2013 Trip Report for more images and reports from the trip. 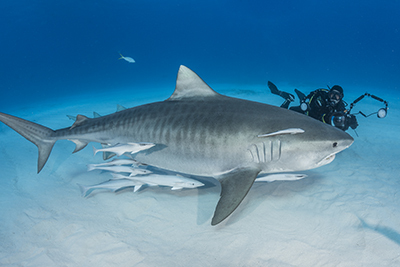 Tiger Beach was full of sharks from start to finish with countless lemon sharks and four tigers at once on the most memorable dive. 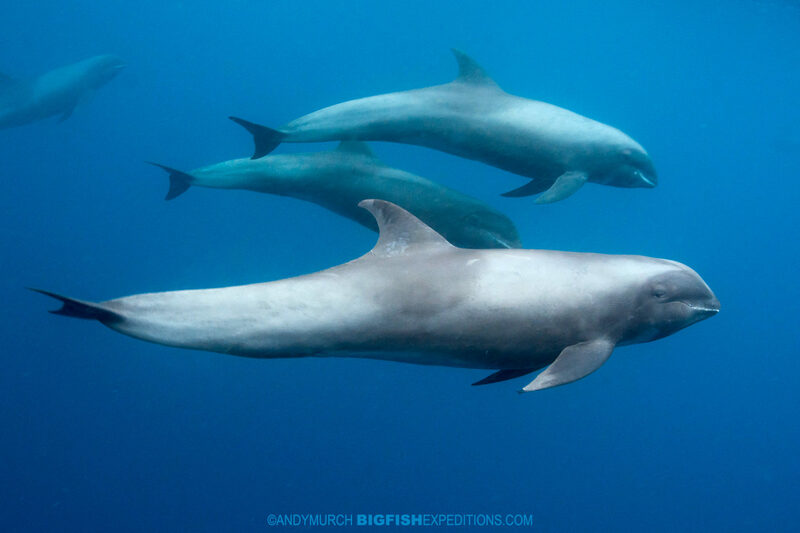 We also had a pod of 20+ spotted and bottlenose dolphins come and play with us for hours and some great opportunities for killer split frame shots at the back of the boat. 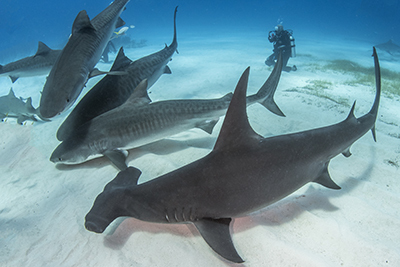 Follow this link for all the good stuff: Tiger Beach Trip Report. 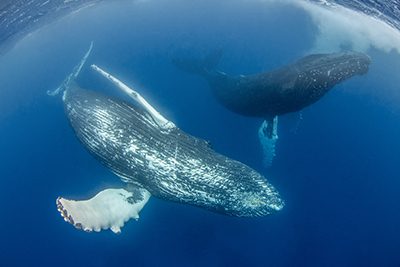 Next week, Big Fish Expeditions is heading to South Africa. 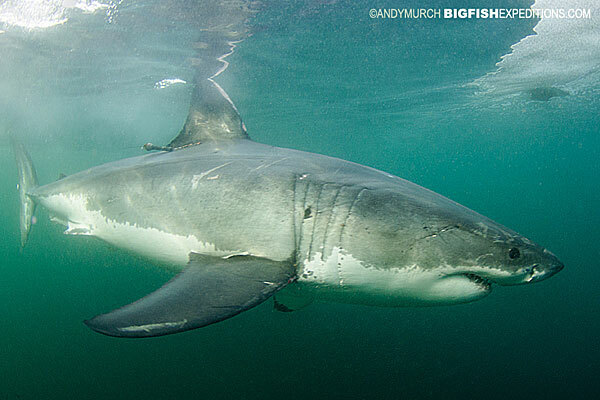 This is my first shark safari in southern Africa and I couldn’t be more excited. 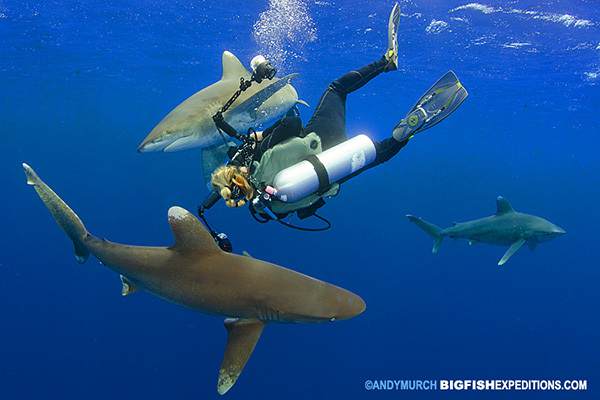 We have the possibility to see around 14 species of sharks. 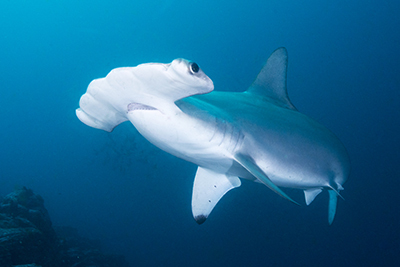 Some of these I have not photographed before so if all goes well there should be some new species pages added to the shark and ray database on Elasmodiver.com over the next few months. This is a land based trip so assuming I can find a wifi connection, I’ll try to load a new shark onto the Big Fish Facebook Page everyday of the trip. 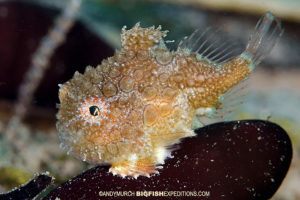 If you want the images to show up in your Facebook Feed, please go here: BIG FISH EXPEDITIONS ON FACEBOOK and give us a like! After two weeks in South Africa I’ll have just enough time to get home to Canada before heading off again to swim with Basking Sharks in the Inner Hebredes in western Scotland. 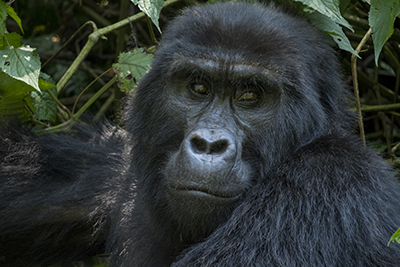 This is another exciting new trip that should result in some great opportunities for big animal images. I’m hoping for encounters with puffins and gray seals underwater too so expect a full report when I blog again (probably in July) or come with me on the trip! 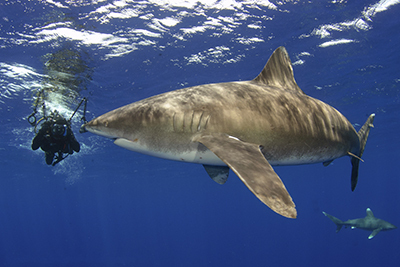 There are two spots left on the basking shark trip if any tropical divers out there think they can handle donning a 7mm in order to swim with the second biggest fish in the world. 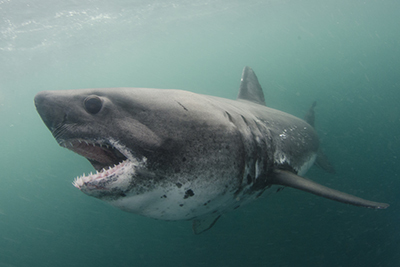 Go to the basking shark expedition page or email me for details! 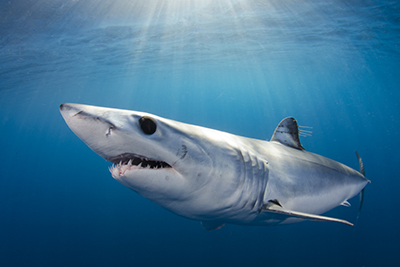 And finishing up our summer season we’re heading to Rhode Island to shoot makos and blue sharks before the Gulf Stream moves away from the coast taking the sharks along with it. This will be another experimental trip that includes a day of chumming for dogfish sharks on the inshore wrecks. As always, I’ll let everyone know how we do! 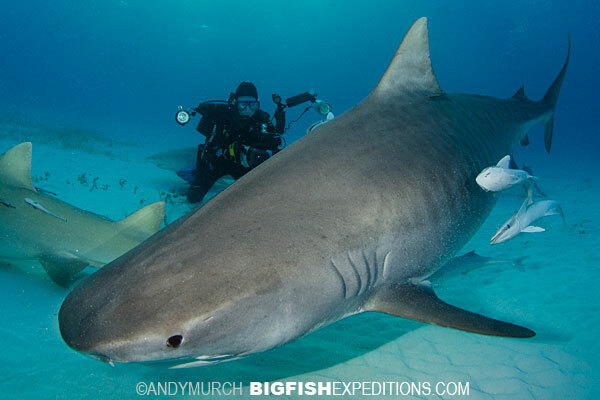 In October I’m leading yet another great trip to dive with Tiger Sharks at Tiger Beach. 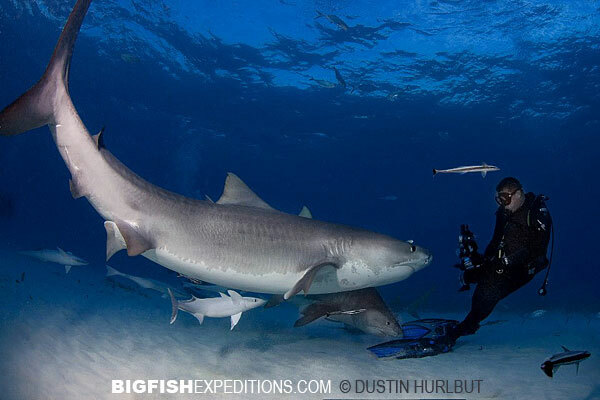 Join me on the Tiger Beach Shark Safari for more epic tiger shark encounters. 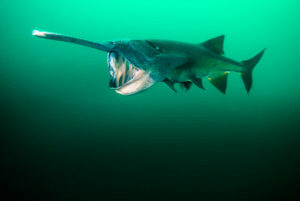 And then in December I have a brand new striped marlin expedition to Baja. 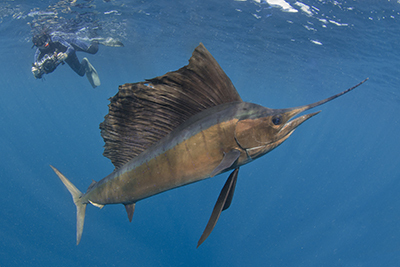 This is another great billfish encounter that everyone should try before they hang up their fins. 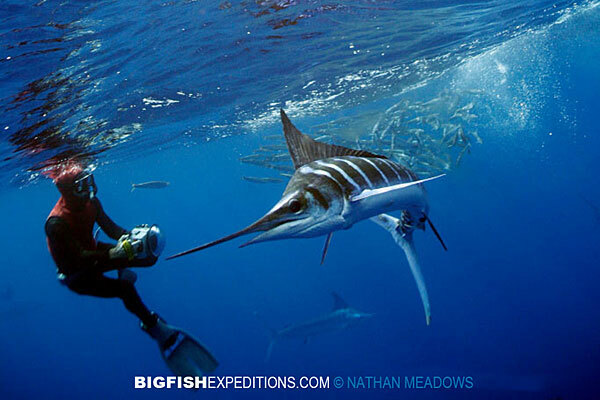 Join me this December for a unique Striped Marlin Expedition. 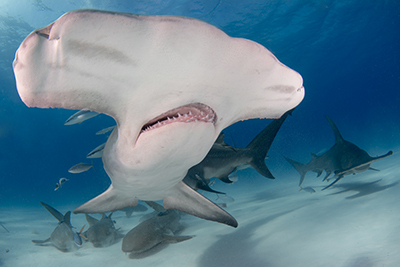 Then at the end of the year, there’s blue whales in Sri Lanka, Orcas in Norway and Great Hammerheads in Bimini. But, before I run those guest trips, its time to put some of my air miles to good use. 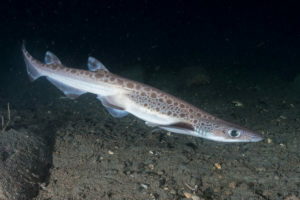 In November I’m flying all the way down to Punta Arenas to look for another new catshark species. 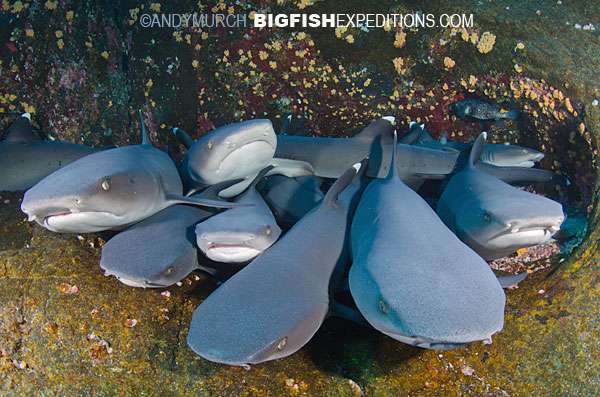 This one is called a narrowmouth catshark and (like most small deepwater sharks) there are virtually no images of it. 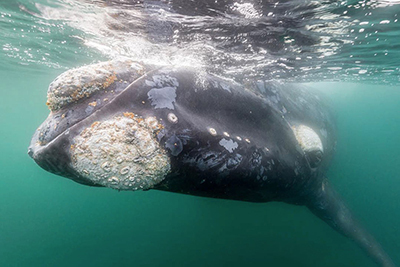 So, I’m meeting up with Eduardo Sorensen from Oceana Chile to see if we can find and document one or two while there are still some left. 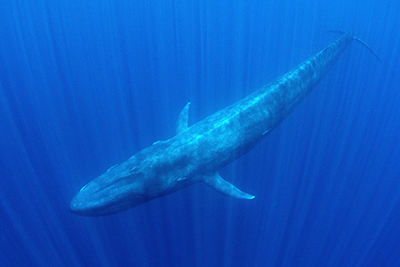 It will be a complicated trip involving us flying tanks and weights all the way to the end of the Americas and then braving the Humboldt Current for as long as time and finances permit. 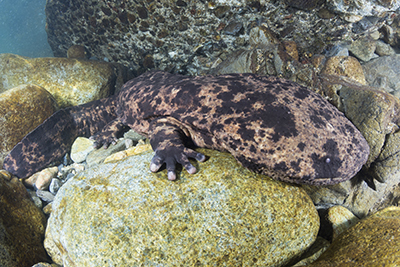 After the catshark dives in Southern Chile, I’ll be traveling with my partner Laura up the coast of Argentina to record as many endemic Argentinean elasmobranches (sharks and rays) as we can find. I’m sure that it will be as exhausting as it is rewarding. 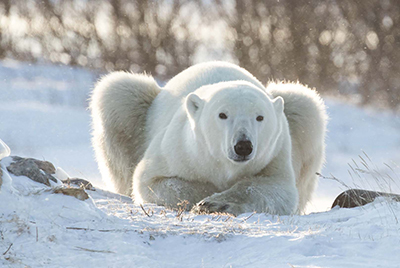 More on this expedition as it approaches. Next year get ready for more new trips as well as some of the classics from years past. 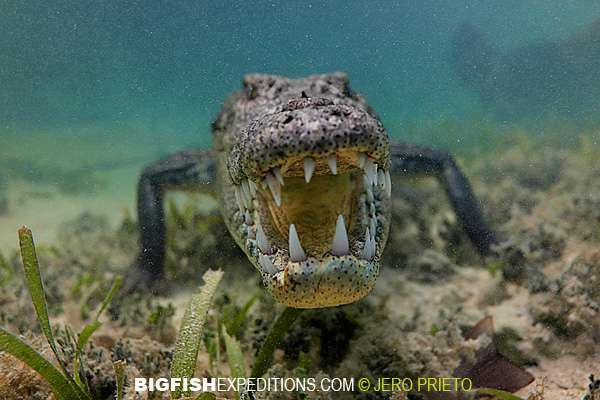 Apart from the American crocodile trip to Chinchorro, there are at least two more exciting new big animal trips that I am working on. 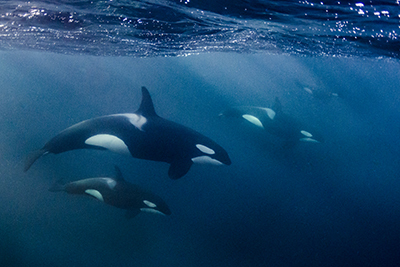 Please keep an eye on the website for more info but for starters, how would you like to swim through an emerald ocean filled with friendly white whales?